Inspired by Rob Penn's book - and TV programme - about his ideal bike, I decided it was finally time to get my road bike sorted out. To give a little background: after years of riding a mountain bike to commute to work, go off-road and tour, I decided a couple of years ago - as I was spending all my time cycling on the road - that it was about time I got a specialist road bike. So I bought a carbon Trek Madone 5.2 - I'm embarrassed to say I didn't realise it was based on Lance Armstrong's Tour de France bike until after I'd bought it...! It's a great bike - very light and supple with a Shimano Ultegra groupset - I just needed to swap the plastic saddle for a Brooks Swallow. But. I've found that I don't ride it enough. 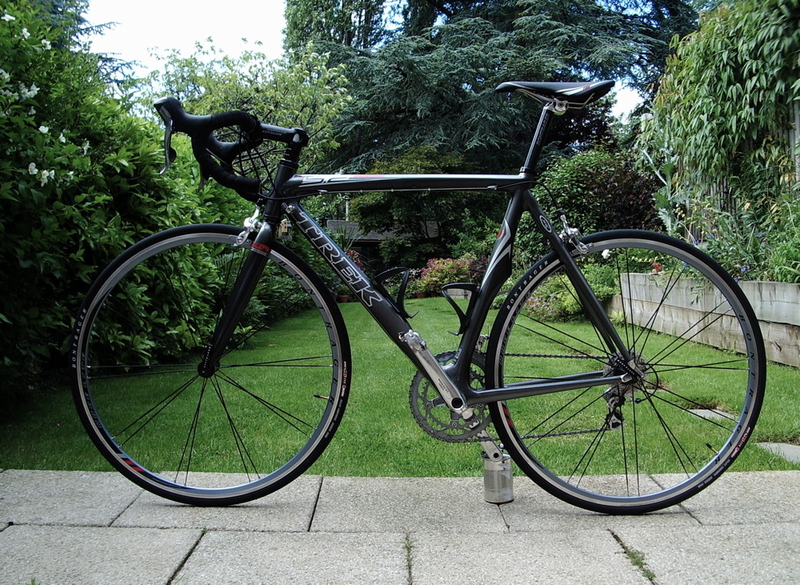 Despite doing what seemed like a thorough fit - try a couple of bikes, drop the saddle - it has never felt comfortable. I always found myself wanting the bars to be a couple of inches closer and I found myself riding the touring bike. I put it down to being chubby and not flexible enough - and that would change. But it didn't. 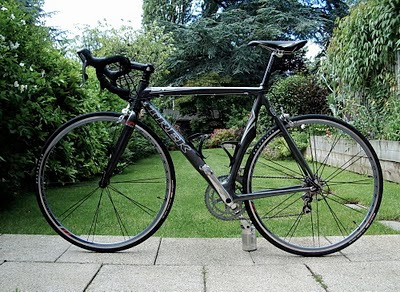 So I took the bike into my local bike shop, Red Kite Cycles in the Birmingham suburb of Shirley. They run a cycle team and offer a bike fitting service (although, at £250, it's not exactly cheap!). I didn't quite need that, but it showed their expertise. Embarrassing - but free! So I bought a gilet as a thank you. And the result? It's a new bike - all the great feel I remember, but comfortable. It's fantastic! Now the only thing I need to do is replace the silly Bontrager wheels with something a little more solid and reliable, but only when these are beyond repair. It's not my perfect bike - that will be a handmade frame with custom-picked components a la Rob Penn - but it will do me for the next few years! Rapha - Cycle Clothing Par Excellence! You'e Got To Start Them Early! Col du Tormalet...in the West Midlands?